Executed in 2000, this work is from an edition of 500 Provenance: Eyestorm, London. Damien Hirst (born 7 June 1965) is an English artist and the most prominent member of the group known as "Young British Artists" (or YBAs). 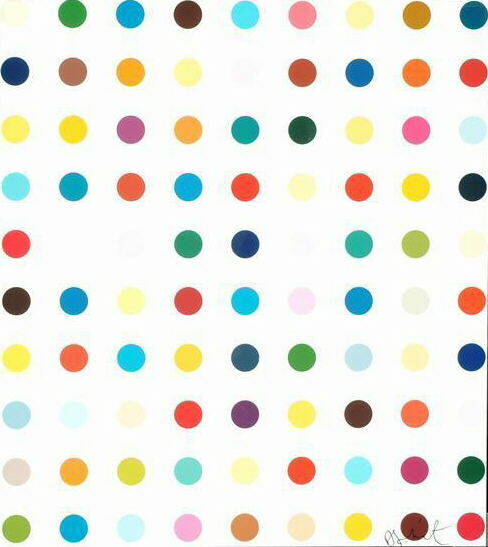 Hirst dominated the art scene in Britain during the 1990s and is internationally renowned. and the symbol of Britart worldwide. Its sale in 2004 made him the world's second most expensive living artist after Jasper Johns. Hirst outdid his previous sale of Lullaby Spring with For The Love of God which sold for £50 million to an unknown investment group. He is also known for "spin paintings," made on a spinning circular surface, and "spot paintings," which are rows of randomly-coloured circles. and hooves, preserved in formaldehyde.